Student Foundation has a beautiful home on campus, thanks to the generosity of Ed and Denise Crenshaw of Lakeland, Florida, as well as gifts from 190 more donors. The Ed Crenshaw Student Foundation Center boasts more than 5,800 square feet dedicated to promoting Student Foundation's mission of serving Baylor. Known affectionately by Student Foundation members as "Ed's," this community-building space features the Great Room as a central meeting area, three committee offices, a student lounge area and the Director's Suite. Whether gathering for a meeting or just lounging between classes, students enjoy learning and fellowship in the home-like atmosphere. The landscape around the building is sure to catch the eye of those passing by. Provided by Carroll Fitzgerald, a Student Foundation alumnus and the owner of Fitzgerald Lawnscapers Ltd., the landscape is a beautiful example of alumni benevolence. The entry plaza is adorned with bricks and pavers that were purchased by Student Foundation alumni to support scholarships and leave a lasting legacy on Baylor Campus. 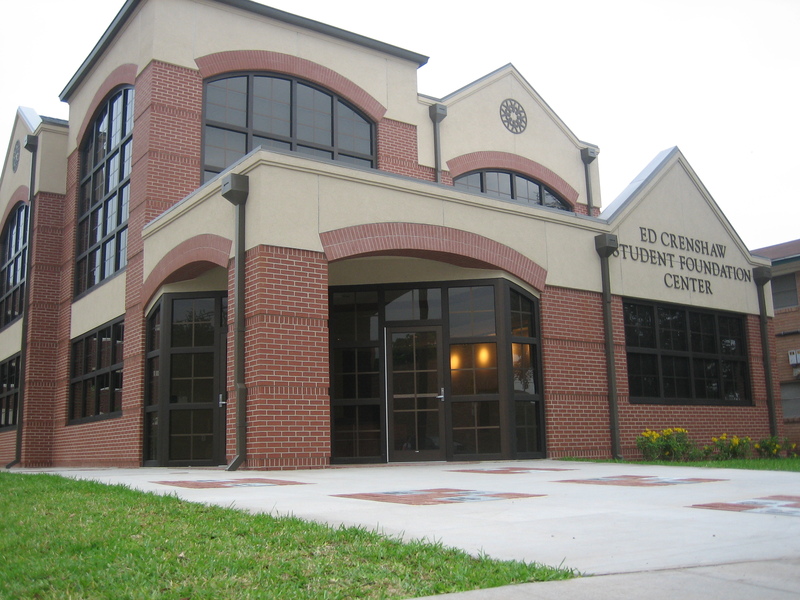 Located on South Fifth Street between Speight Avenue and Bagby Avenue, the Ed Crenshaw Student Foundation Center's prominent location enhances the organization's campus presence and provides a headquarters for Student Foundation's scholarship fundraising, student recruitment and community building.